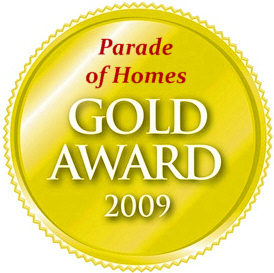 The 58th Annual Parade of Homes (2009) showcased 71 new homes throughout the Greater Richmond and Tri-City areas. These homes feature the best selection in home designs, construction techniques and materials. Click here to visit the Parade of Homes website. The Gold Award Winning Home was created by C. L. Shade Drafting for J. R. Walker and Co. Jim Walker’s unique vision for homes brought this design to life and we are happy it received recognition from the building community. Posted in Custom Homes, News.